This time our Unisono Musical School gave its autumn concert a little bit earlier as it used to be before. We met at Fangor manor-house in Powsin November 21st 2017 . The brightly illuminated concert hall contrasted with autumn-covered trees outside in the Botanic Garden. Among the soloists who performed that evening were pupils who commenced their musical education in our School in September or even in October this year. 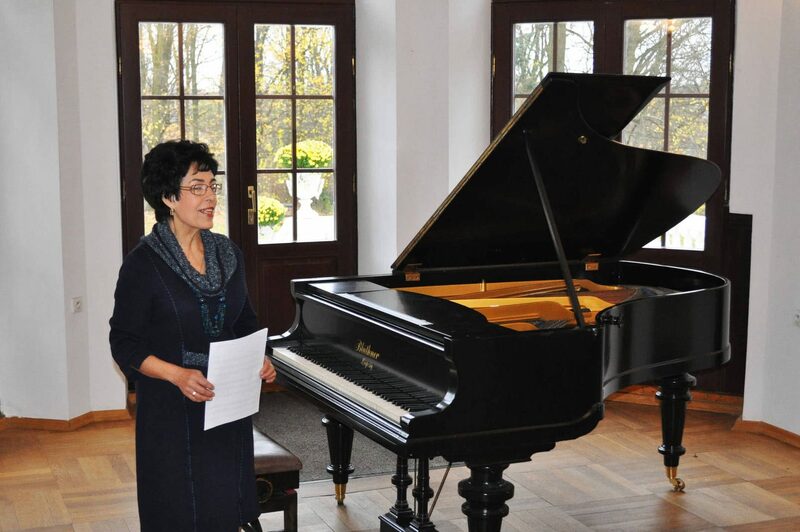 Simona Proycheva executed Sonatina in G Major by Ludvig van Beethoven and Clowns by Dimitr Kabalevsky. Zosia Tomaszek who presented musical motive from the movie Mariage d’Amour. Natalya Voloshina who played first part from Spring Sonata by Ludvig van Beethoven. After the concert, Zofia Zwolińska, Director of the Unisono Music School congratulated all soloists for their performance, teachers of the School for their angagement in teaching, parents for their support in practicing music at home and preparation of the repertoire, and the audience who filled the entire concert hall and warmly applauded the soloists. At the end of the event Zofia Zwolińska invited all to the next concert which will be devoted to carols and will be held January 17th 2018.